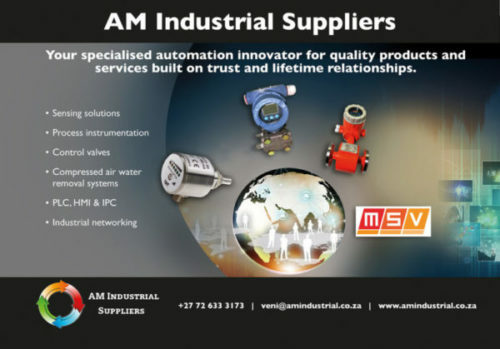 Alia Instruments is more than happy to introduce to you our new partner AM Industrial in South Africa. Due to the fact that we receive applications from Southern Africa very regularly, it has been a long-cherished wish of both our (potential) customers and ourselves to add a local reliable partner to our network. With the arrival of AM Industrial this wish has now been fulfilled. AM Industrial Supplies complements a sister company AM System Integrations who has made extensive advances into the process automation market, servicing all sectors of industry with system integration processes. The company is a privately owned company from Boksburg (near Johannesburg) which strives to add value to her customers operations by providing electrical, electronic, software and instrumentation solutions to their processes. They have succesfully undertaken many projects of various sizes in e.g. the mining, cement, steel, pulp & paper and petrochemical market which promisses to be a good fit to Alia Instruments.